Control your Heatstrip heaters from the convenience of your phone or tablet. 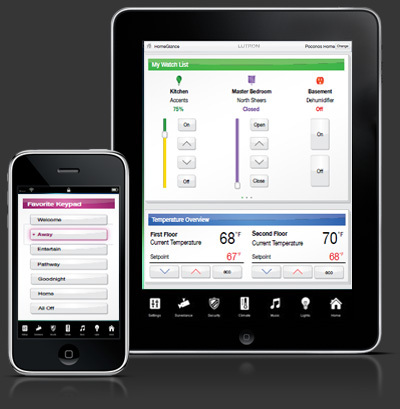 Using Home Automation, the heaters can be turn ON and OFF and placed on an Auto-Off timer. Heatstrip is compatible with most brands of Home Automation, these include Control4, Lutron and Crestron. 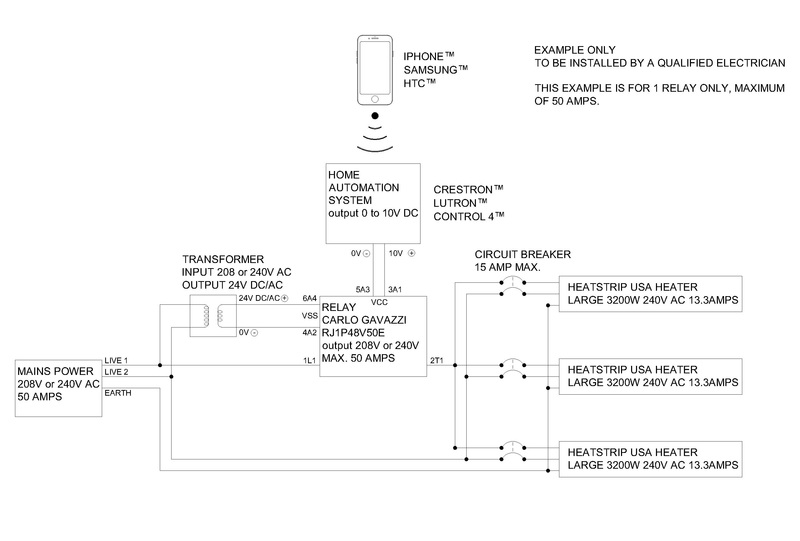 To control the Heatstrip heaters with a tablet or phone, there needs to be a few key components. The output of the Home Automation is a low voltage signal (10-12 volts). The Heatstrip heaters operate on higher voltage (120V, 208V or 240 volts). To link the two, there needs to be a component that takes the low voltage input signal and can switch the higher voltage ON and OFF. The powered Relay works by connecting the input power and then being hardwired to the Heater. It turns the power ON and OFF to the heater when the signal wire from the Home Automation system tells it to. The size of the Powered Relay needs to be matched to the system. Every system is different depending upon the size, number of heaters and which Home Automation system. Your electrician can help with the specification and supply of the Powered Relay. There may be multiple Powered Relays depending upon heater layout and current load. These wiring diagrams show 240 volt 3200 Watt Heatstrips, it is similar for 120 volt and 208 volt installations. For installation, it’s best to speak to your Control4 dealer. The Lutron Caseta system is a way to wirelessly control electrical appliances in your home. Use the PICO® remote control to turn the Heatstrip heaters ON and OFF within 60″ of the Smart Bridge. The Heatstrip heater is an incandescent load. See the individual heater for the current load and voltage rating. There is also needed a powered relay to connect the Lutron Caseta® system and the Heatstrip heater. 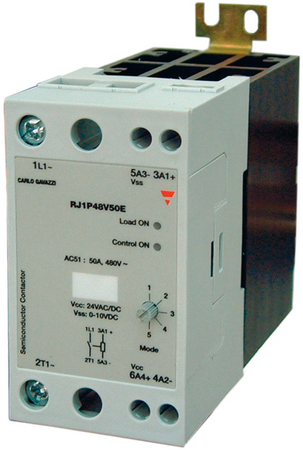 Using the Relay (Carlo Gavazzi RJ1P48V50E) you can control up to 3 Large heaters in one zone. Turn the heaters ON or OFF and Up or Down. Click here to down load the operation manual for the Relay. Use multiple relays to add more zones. Your electrician can wire this and we can help specify the system for your needs. 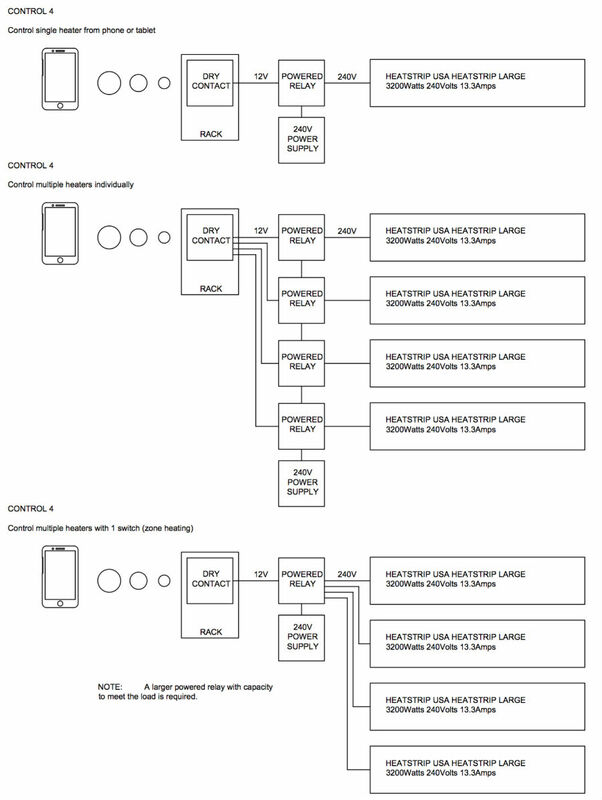 See the Electrical Schematic below for an example on how to wire the heaters. For any questions, quotes, or ideas on your installation, please contact Heatstrip USA today. All Large Heatstrip will ship late April 2019.